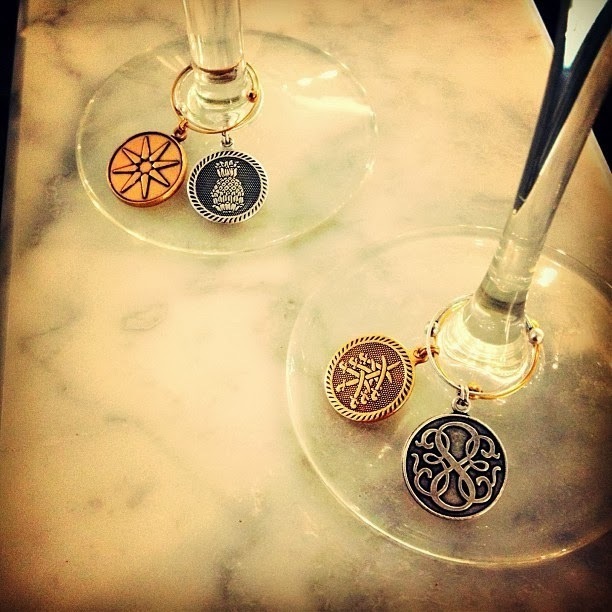 The Illumination charms from Alex and Ani celebrate wine's role in nature and life. Photo from Alex and Ani Web site. To wash, or not to wash, that is the question. The answer depends on the formality of the party, the fussbudgetness of the host or the fine pedigree of the wine. Let’s assume that for this party, the host insists on the best. But how many times in the past have we witnessed a mad-dash to the kitchen, hoping the dishwater won’t make too much noise, or the assembly line frenzy of washing, rinsing and trying to get the last bits of tea towel lint off the goblets? Then, a second dilemma: the freshly cleaned glasses are nice and warm, a death knell to good wines and Champagnes. What is the hostess-with-the-mostest to do? 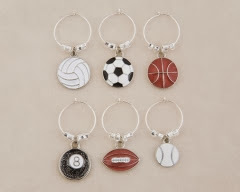 Invest in wine charms. Better than those paper circlets with a little hole for the stem, the wine charm requires no extra table for folks to write their names, eliminates the ubiquitous problem of the disappearing pen – and being reusable – remains eco-friendly. What’s not to love? 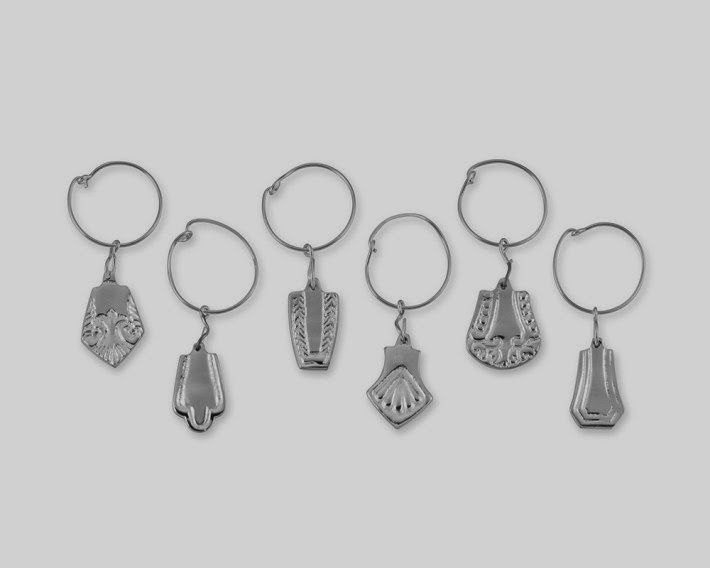 At Williams-Sonoma, the Presidio wine charms are an extension of familiar flatware designs. Photo from Williams-Sonoma Web site. Ask any guest: the silly designs. While the typical little charms help people snare their own stem each and every time, relieving the host of the wine glass terrors, the charms themselves are often … well … uh … stupid looking. Did the host really raid her tweeny-bopper daughter’s earring collection and clip them on the stems? Did that weekend warrior at the party truly wince at the last glass standing, the one with the ballet slipper dancing along the base? Enter: the grown-up wine charm. No need for wine glass jewelry. No crystals. No twirly-whirlies. No over-the-top beads. Super Bowl party hosts may face a dilemma: who gets the football charm? Tennis, anyone? Photo from the Wine Rack Store Web site. Just one simple identifying tag. Why? Because a good host wants people to chat about the wine in the glass, and not the silly do-dad at its base.